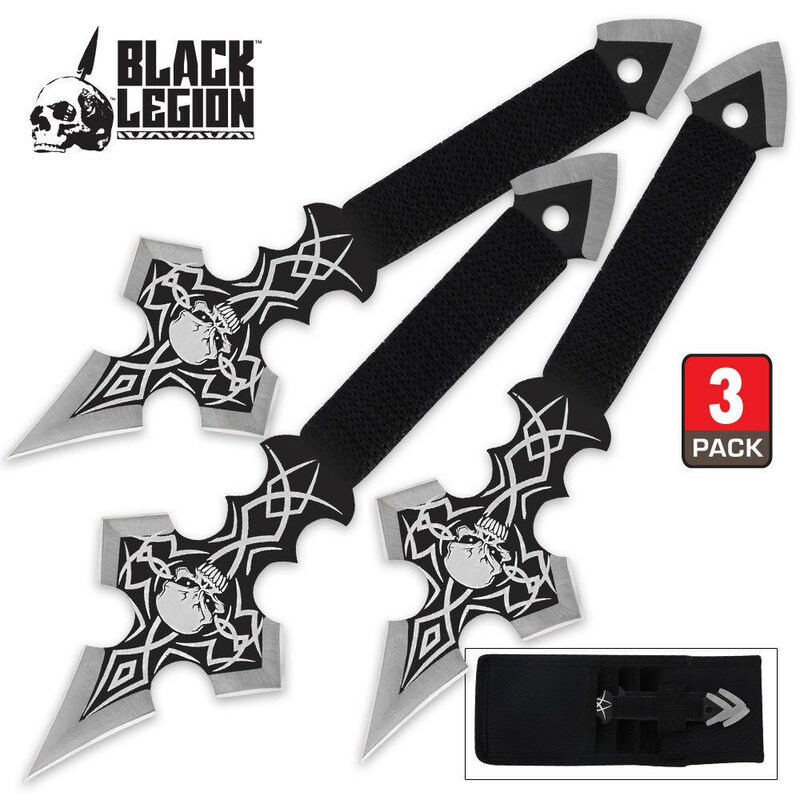 These vicious throwing knives pack a mean punch! The cross-like design surrounds the thrower with points. Each knife is crafted from a solid piece of 440 stainless steel, finished in black and silver, and adorned with tribal skull artwork. The handles are wrapped with black nylon cord. Each knife measures 6 in. overall. Includes nylon sheath with belt loop. I order these thinking they were larger then they are. However the weight is good for the size & the are kinda attractive. Don't know if i will throw them, most likely just display them.